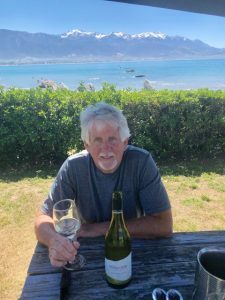 A lifelong Californian, Tom Eddy completed his enology degree at the University of California Davis in 1974, part of a group of talented 1970’s grads credited for the meteoric rise in the quality of California wines. Prior to starting the Tom Eddy label in 1991, Tom was the winemaker for some of the largest and smallest wineries in California. As a recognized industry expert, and noteworthy writer about all things “Wine”, over the past 40 years Tom has left a personal stamp on many winery operations in Napa, Sonoma, Washington, Oregon and around the world. Kerry Eddy is also a UC Davis grad, and became the first female sommelier in Hawaii. Kerry later went to work for Wine Spectator magazine in New York as Director of Education and Information. 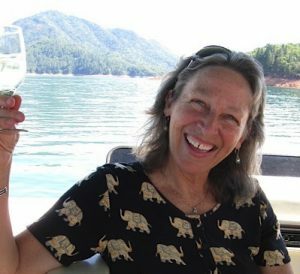 Upon meeting Tom she relocated to the Napa Valley and continued working for Wine Specator in San Francisco. Nowadays, Kerry can often be found in the tasting room or teaching art to the gifted and talented at the local elementary school. Kerry’s artwork adorns the premises. True to his passion of artistic winemaking, Tom and his wife Kerry constructed a classically designed, efficient, yet small winery, along with a beautiful cave dug deep into the mountain. Today Tom Eddy Winery sits on 22 gorgeous acres of Napa County, 1,000 feet above the valley floor. The Cabernet Sauvignon produced from these vineyards is rich, flavorful and elegant, with intense fruit flavor and a rich complex structure. Join Tom & Kerry Eddy on a magical experience: 4 nights in Spain visiting Madrid, Segovia, Penefiel and Salamanca in Spain, followed by a 7-night voyage down Portugal’s Douro River Valley. This is a once-in-a-lifetime holiday dedicated to food and fine wine. Please note: The Flavors of Portugal & Spain Douro River wine tour and cruise package is created solely for the Tom Eddy Winery by Tours & Wine (by Expanding Horizons of Tustin, California), our tour operator, and in conjunction with AmaWaterways. The program will contain private meals, tours and/or visits to attractions outside of scheduled cruise activities*. These additional services are exclusive to guests on this cruise who book their reservations with Expanding Horizons. Persons booking with alternative travel agencies will not be included in these activities.